Raku as we know it today in America is very different from the Raku of it's origins in Japan. The process shares some basic similarities but there are some radical changes as well. The making of Raku ware began in the Momoyama period (1573-1615) by the potter Sasaki Chojiro and was introduced to the West by the English Potter Bernard Leach in the 1950's. There are no written records from the time but the story goes that the origin of the process can be traced to an immigrant tile maker who married a Japanese woman and lived in Kyoto. 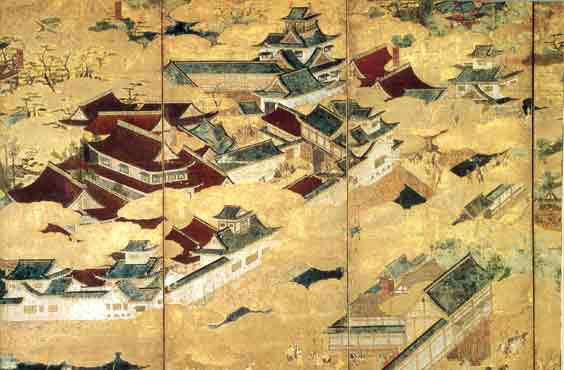 This potter was employed in making tiles for the construction of a lavish palace, the Jurakudai, being built in Kyoto by the leading shogun of the time Toyotomi Hideyoshi(1537-1598). While firing the tiles the potter discovered that the red hot tiles could be removed from the kiln without breaking. His son, also a potter, experimented with this new firing technique. 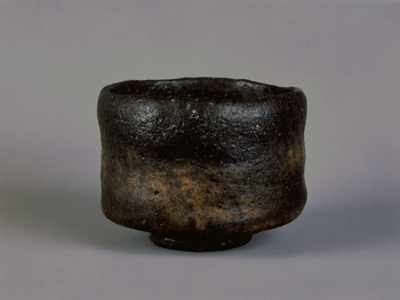 As fate would have it, the Japanese tea master Sen-No-Rikyu (1522-1591) was also involved the the construction of the Jurakudai and had Chojiro produce tea bowls in this new style. The immediacy of the firing process and the humble origins of the clay used appealed to the sensibilities of the Wabi-Sabi philosophy of wisdom in natural simplicity practiced by Sen-No-Rikyu. The term Raku is derived from Ju-raku-dai and translates as "enjoyment", "ease" or "pleasure"..
Due to the immediacy of their production the tea bowls of Chojiro were initially called ima-yaki or "now wares". They were renamed juraku-kal after the shogun Hideyoshi presented Chojiro's family with a golden seal bearing the Chinese character for Raku. Raku then became the family name, synonymous with the ceramics they have continued to produce to this day. 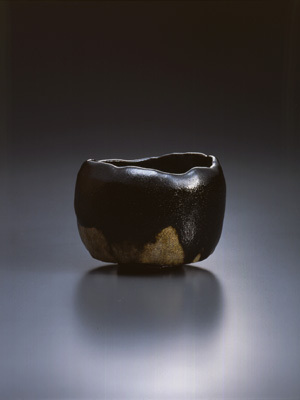 Black Raku tea bowl named “Shûgiku” ( 2000) by Raku Kichizaemon XV (1949 – ). A source for information and stunning photos of Raku wares produced by the Raku family and proteges.